You're all set! Confirm you want deals for Experimac West Loop in -zip-? Experimac West Loop offers smartphone and computer repair services for Apple® devices and buys and sells pre-owned products. Located in Illinois, they proudly serve the residents of Chicago and are known as an area leader in quality computer, smartphone, and tablet repairs. If your iMac® or MacBook® isn’t working properly, their technicians will check for logic board failure, water damage, or a failed hard drive. 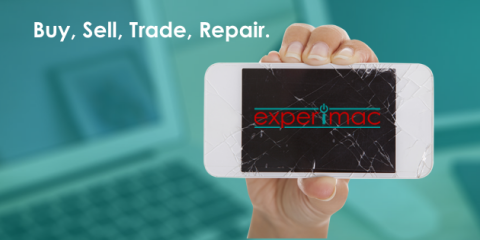 Experimac West Loop also offers repair services for your iPhone® or iPad®, including screen repairs, glass replacement, liquid cleaning, and microphone or camera repairs. In addition to computer repairs, Experimac West Loop is continually expanding their inventory of used Apple products. If you have an old Apple iMac, MacBook, iPhone or iPad, trade it in. It’s a great way to get cash fast and safely dispose of your device in an eco-friendly manner. A proud reseller of certified, pre-owned Apple products, Experimac West Loop offers a wide selection of refurbished Apple products, including iMacs, MacBooks, iPhones, and iPads. If you want to improve your current items, Experimac West Loop is here to help. They will upgrade your iMac or MacBook battery, RAM, or hard drive to improve your device’s performance and increase storage. They can also help with data transfer and recovery, new software setup, and PC-to-Mac migration. Best of all, Experimac West Loop includes a 90-day warranty on all computer repairs and sales, so if something goes wrong, you’re covered. Call them at (312) 243-1127 to learn what they can do for you, or shop for pre-owned devices on their website. You can also like them on Facebook or follow them on Twitter.